"Just hear those sleigh bells ringin'...dah, dah, dah, something, do dah...." Okay, so I never claimed to know the words to Christmas carols...I just sing along, jumping in with the words I do know wherever I can. When my niece and nephew (Leslie and Lucas) were toddlers, they once sang this in church: "Go tell it on the mountain...over the hills and far away! Go tell it on the mountain, Jesus Price is four!" Violet and Jason (my sister and her hubby) still laugh whenever they hear that song. So the holidays aren't so much about getting it right but about making memories. If you have little ones around, a fun way to make memories is with cupcakes. They're yummy and not as much work as cookies or cakes. My List of Too Read books just keeps getting longer and longer and longer and that makes me super happy! Thanks muchly! Happy reading! Both of these series are great reads. Reading your posts reminds me of the pen name you use. I've never baked cupcakes. We've always made cookies. both series are on my WishList!!! what a fun way to start them!! thank you for the giveaways!!! Happy Holidays to you both! My husband is retiring at the end of the month and we are in the process of moving to another state so we are spending the next few weeks in a motel. So there won't be any baking for me this year. I will have to look these things up next year when I will have a kitchen again. Thanks for the links! And the books sound great! Both books sound great and I think you're right about cupcakes! They both look wonderful and would love to win! And love cupcakes! Can't wait to start these. Love the reindeer cupcakes. I will have to try and bake some of those for the holidays. The books look great as well! These cupcakes would be great if they were delivered! I agree, delivered would be great! The baked treats don't have to turn out beautifully to make a fun memory. Lots of our spritz experiments are what the boys talk about. Thanks for this lovely post and raffle! Yea, another chance to win Battered to Death! 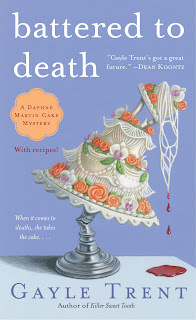 I've loved all the other three books of yours, Daphne and can't wait to read this one. And Cross Stitch Before Dying would be my first Marcy Singer but I'm eager to start that series as well. I have some new unused silicone baking cups so will have to make cupcakes soon! 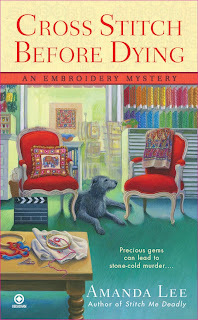 I have CROSS STITCH BEFORE DYING sitting on top of my TBR pile but would love to win BATTERED TO DEATH. Daphne Martin and I share the 'can't remember the lyrics' trait. Also, a fondness for cupcakes. And anything sweet. ::sigh:: This will be a good book, I'm sure. Just got a new cupcake pan today---Baking this afternoon---maybe I should read about cupcakes tonight. Please enter me in your drawing. Thanks for the links to the holiday cupcake ideas. I'll be using a few of them!! Lovely cupcakes, mouthwatering pictures, that is for sure. I have a question, I follow by email, and haven't got any for over a week now. Could someone please look into that? I don't have human children, but my furkids make the holiday happy! I Love cupcakes too. Cupcake making could become a new tradition. Creating yummy things to eat & memories. Nothing says happiness like Christmas cupcakes. And fun mysteries on my to be read list. Thanks for the giveaway! Thanks for the wonderful cupcake links and the Giveaway Books! Kids and adults alike would love these cute and yummy works of art! :) Both books are on my to read list now. 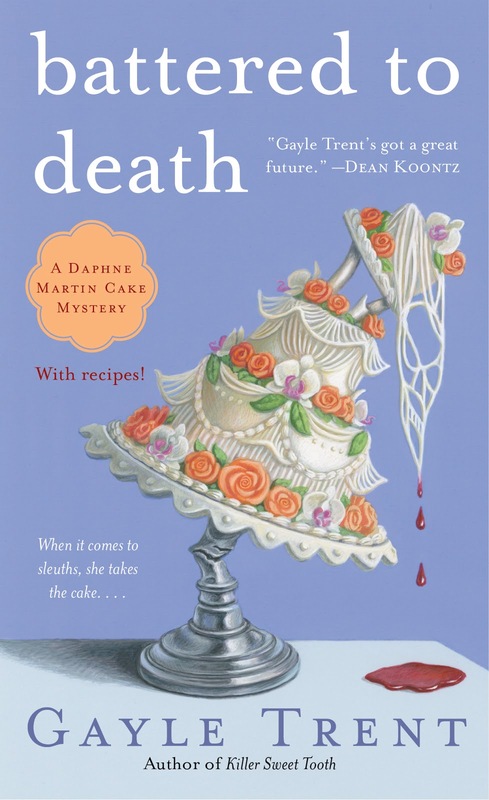 I can't get enough Cozy Mysteries, so please keep writing more!! Merry Christmas! I collect cupcake recipes and cupcake decorating books. Can't get enough of them! Merry Christmas to all and to all a good night reading. 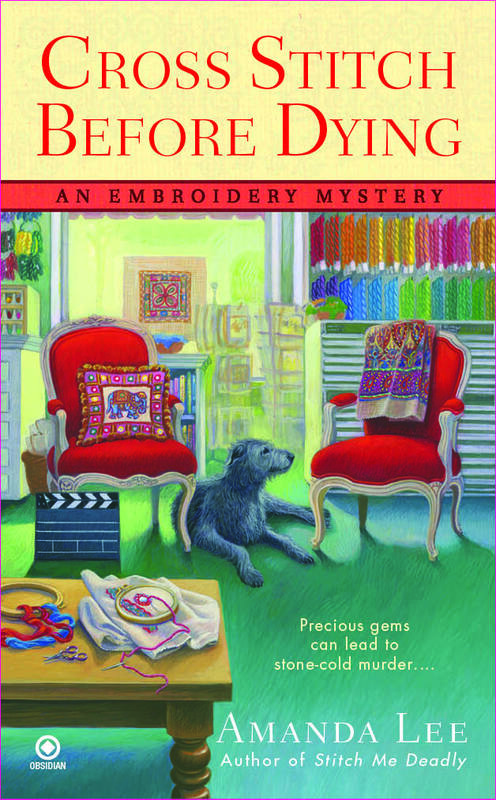 Cross stitch is definitely more my speed than baking, but I'd love to read both books. Happy Holidays everyone. Two more great books to add to my out of control TBR list. Thanks so much to everyone who participated! And congratulations to Mary P.! I so enjoyed reading all your comments. Merry Christmas, everybody!